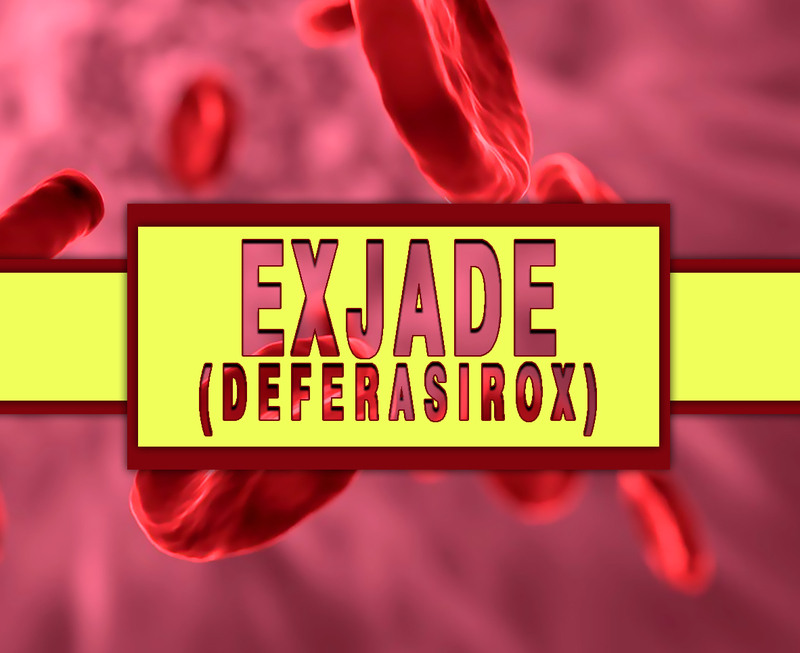 Exjade (Deferasirox) is used for the treatment of on-going high levels of iron in the body that is caused by multiple blood transfusions. This is also used to treat high levels of iron in people with a certain blood disorder. It is for those who do not require blood transfusions or called non-transfusion-dependent thalassemia. Frequent blood transfusions are often needed in certain types of blood diseases like anemia or sickle cell disease. Blood transfusions have very helpful benefits but they can cause the body to hold on to too much iron. How does Exjade (Deferasirox) work? Exjade has the active substance of Deferasirox. It attaches to excess iron in the body to form a compound called a ‘chelate’ that can be removed by the body, mostly in the stool. This helps to correct the iron overload and prevent damage to organs such as the heart or liver from excess iron. Exjade (Deferasirox) is an iron chelating agent. This tablet for oral administration contains 125mg, 250mg, or 500mg or Deferasirox. It is a white to slightly yellow powder. This has been approved by the Food and Drug Administration (FDA). How to use Exjade (Deferasirox)? The recommended dosage for this medication is based on your condition and response to it. This is usually taken once a day with an empty stomach at least 30 minutes before food as directed by your doctor. Take it by mouth and do not break or chew the tablet. Take it at the same time each day. Use it regularly to get the most benefit of it. To avoid some problems, do not twice the give dose of your doctor. What are the side-effects of Exjade (Deferasirox)? Before the tablets, let your doctor know if you are allergic to it or if you have any allergies. Consult your doctor first if you are planning to get pregnant, pregnant, or breastfeeding women. You should not share this medication with others who have the same condition as you have. Do not use this longer than prescribed by your doctor.